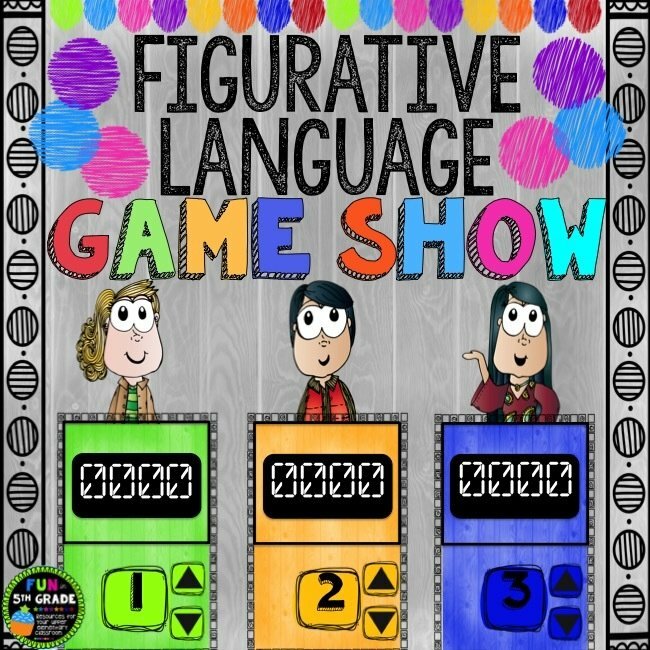 This Figurative Language Game Show PowerPoint Game is a FUN activity for you to use to review and for students to practice with! 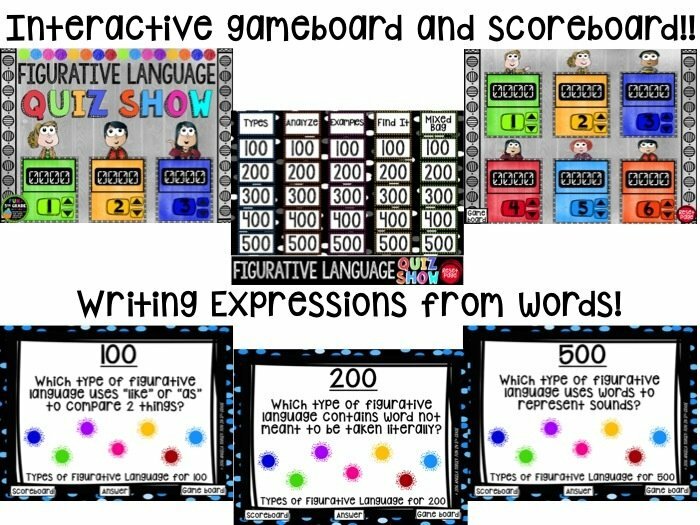 This game will make figurative language something students are EXCITED to do! My class CHEERS when they see this game in the plans. PERFECT for review! 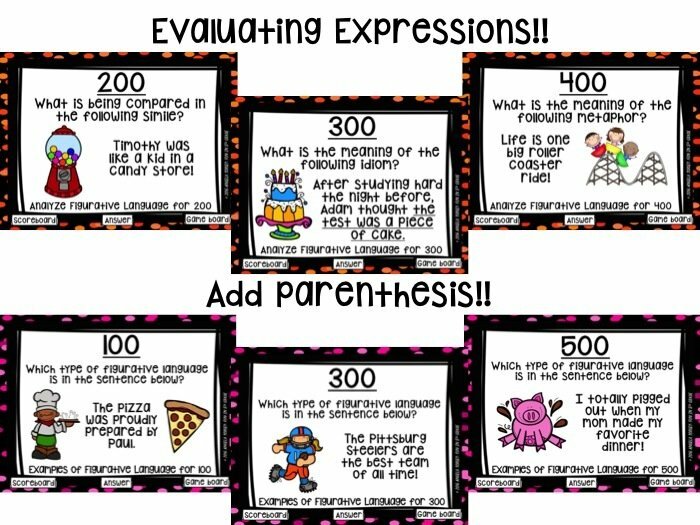 ✩Put students in up to 6 groups to play this Jeopardy style game! Review days can be dull and kids just don't listen. But if you tell them that they will play a FUN review game to test their new knowledge, they will make sure to be listening to your every word. TYPES: questions consist of definitions and students must identify type of figurative language. ANALYZE: questions consist of a piece of figurative language and students must analyze what it means. EXAMPLES: questions consist of examples of figurative language and students must name which type they are. FIND IT: questions of a type of figurative language and 3 choices. Students must identify the choice that matches the type of figurative language in the question. MIXED BAG: questions include a variety of questions types from the categories above.